Accepts RS232, RS485, USB or Ethernet data and extracts up to 6 digits from long data strings for display. An optional isolated analog output board can convert the unit to a digital-to-analog converter and transmitter. 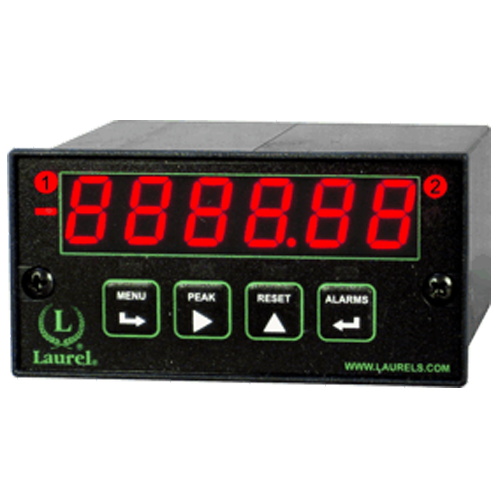 An optional relay output board can add local alarm or control capability. The relays can respond to the transmitted values or to control characters. 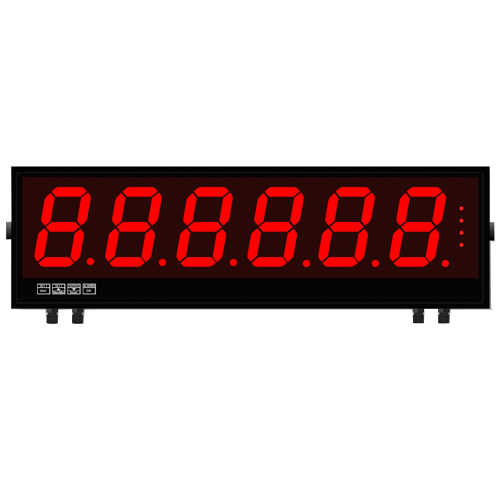 Available with 4 or 6 digits and digit heights of 2”, 4”, 6” or 8” (57, 102, 150 or 200 mm) and LEDs for indoor or outdoor viewing, these large-digit displays are legible across a plant floor or outdoor yard. Able to extract readings from long RS232 or RS485 data strings. Available with optional relays and analog output. Environmentally sealed to NEMA-4 (IP65). 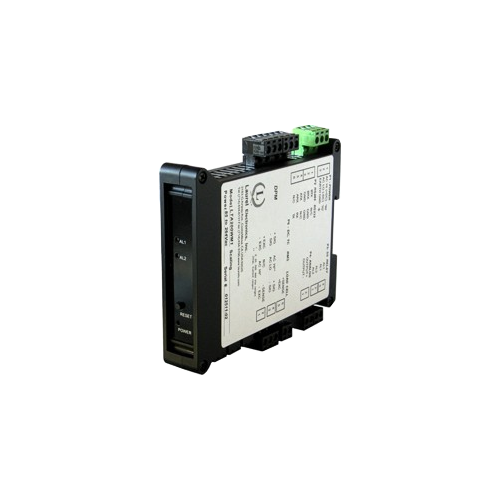 Accepts RS232 or RS485 serial data using the Modbus protocol, Laurel ASCII protocol, or direct ASCII characters, and converts this data to a scalable 4-20 mA, 0-10V or -10V to +10V isolated 16-bit analog output. Able to extract readings from long ASCII data strings. Includes two 120 mA AC/DC relays which can respond to transmitted values or to control characters. DIN rail mounted. 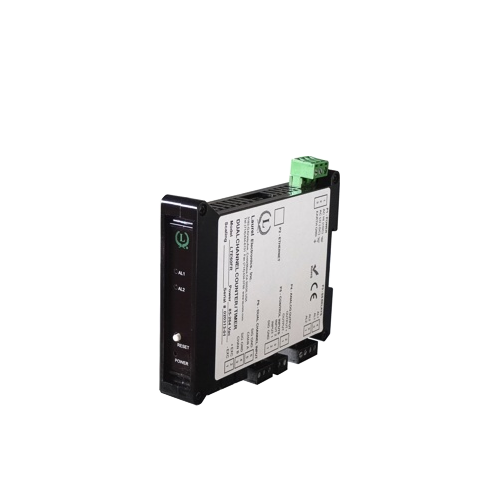 Accepts Ethernet serial data using the Modbus TCP protocol, Laurel ASCII protocol, or direct ASCII characters, and converts this data to a scalable 4-20 mA, 0-10V or -10V to +10V isolated 16-bit analog output. Able to extract readings from long ASCII data strings. Includes two 120 mA AC/DC relays which can respond to transmitted values or to control characters. DIN rail mounted.